Texas Rangers manager Ron Washington was looking to become the winningest manager in club history on Sunday, and he probably liked his chances with Derek Holland on the mound. 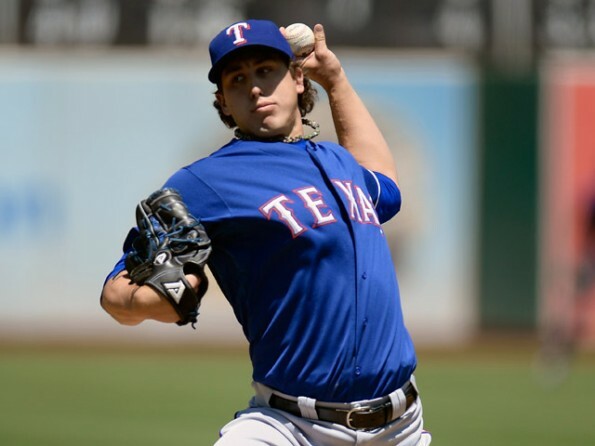 Holland has been one of the team’s winningest pitchers since Washington joined the Rangers back in 2007, and he would add another victory to both his and Washington’s resume, as the 26-year-old lefty allowed just four hits and two walks while striking out ten over eight shutout innings. Joe Nathan would take over from there, as he put the finishing touches on his manager’s record-breaking 4-0 win. In addition to giving Ron Washington the record, the victory also moves the Rangers to within just 2.5 games of the Athletics for top spot in the AL West. As for Holland, he improves to 9-6 on the season with a 3.02 ERA, and he earns “The Stat Line of the Night” for Sunday, August 4, 2013.